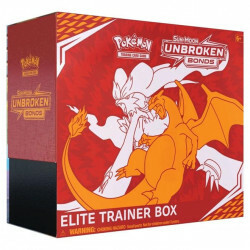 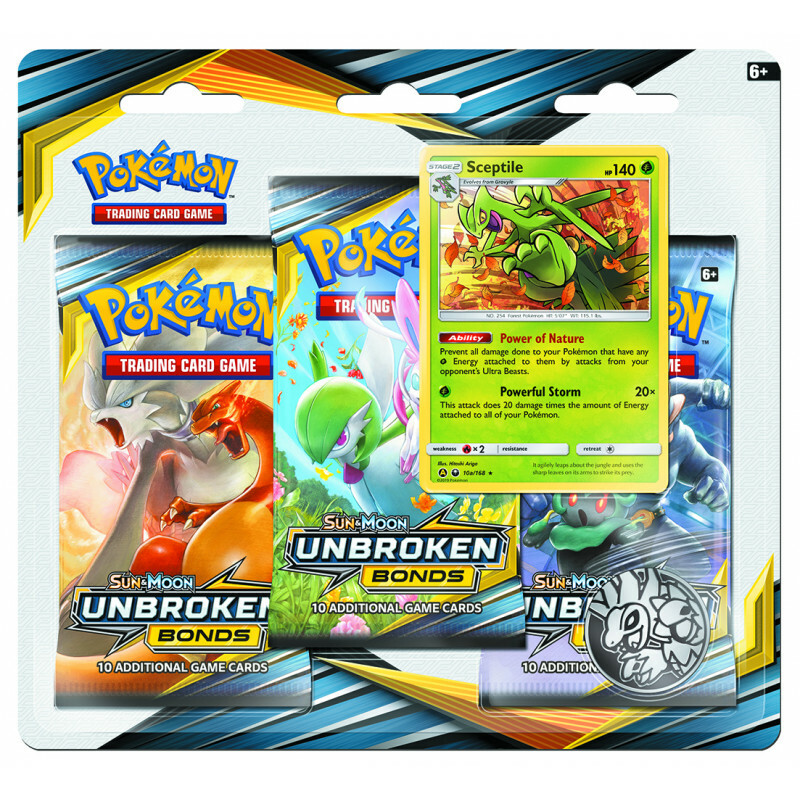 Each Sun & Moon - Unbroken Bonds 3-Pack blister comes with 3 booster packs, a special flip coin, and a promo card. 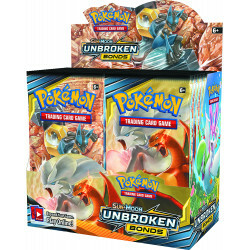 This bundle contains both Unbroken Bonds 3-Pack blisters. Cards vary by pack. 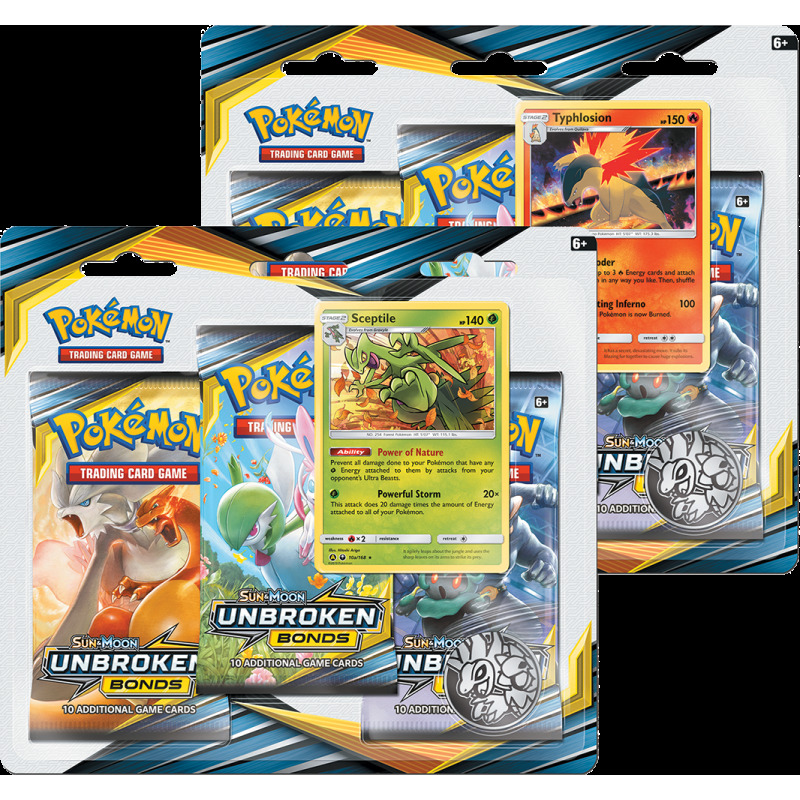 We cannot promise any specific packaging. 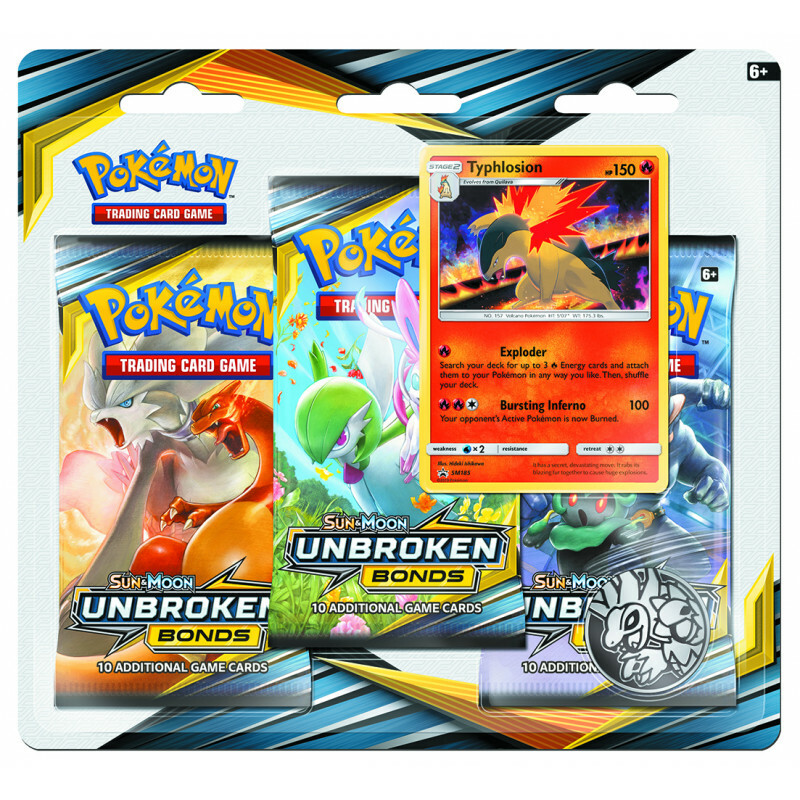 Coin may vary.